Jack Frazier Estate 2-Day Auction (Day 1) — Harritt Group, Inc.
Davis Machine Tool Co. metal lathe, Bett Marr 245 metal band saw, Brokaw press, Louis Emerman Mermice press, Central Machinery drill press, Frederick steel roller, Atlas 7B drill press, 220v compressor, Delta Rockwell 14” swing metal lathe, Craftsman drill press, Cerweco A12 metal break, Chicago DP525 drill press, old large Superior drill press, several chain hoists, Duplex 14” band saw, several grinders, Foley filers, Delta band saw, Sawmaster band saw, vintage Standard Oil Co. oil pump, Foley 332 re-tooler, acetylene set, Mr. Heater 125K BTU kerosene heater, Remline rolling tool chest, Central Hydraulic 10-ton portable press, chain drive post vise, vises, belsaw grinder, tire balancer & charger, Vulcan #10 anvil, small anvil, engine boom, jack stands & floor jacks, Homak rolling tool chest, hundreds of hand, yard & power tools, hundreds of machine shop tools including micrometers, gauges, calipers, mounts, bits, machinist chests, metal storage cabinets, work benches, shop manuals, shop supplies, organizers, large selection of scrap metal, Thyles belt driven filer, Starrett transit, cases of oil, battery charger, tap and die sets, folding extension ladder and much more. Multiprocess Miller Bobcat 225 8500-watt portable LP engine driven welder, older Lincoln Model TM400/400 welder, Chicago Easy Mig welder & welding rods. Dixie Chopper Silver Eagle 20hp zero turn lawn mower w/562 hours, Ariens RT7020 rear tine tiller, Stihl power pole pruners, Stihl weedeater, Husky chain saw, chain saws, weedeaters, Earthquake mini cultivator, 8hp hydraulic log splitter, Honda power washer & 300 pound ATV lift. 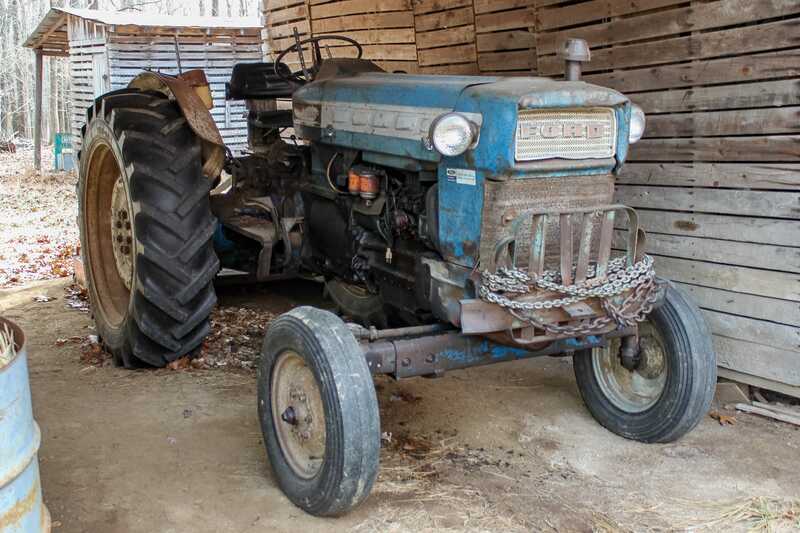 Ford 5000 diesel tractor w/3086 hours, Ford 641 diesel tractor w/hay fork loader, Long 1537 3-pt. rototiller, 3-pt. & pull type rotary mowers, 3-pt. 2&3 bottom plows, John Deere planter, Baltic fertilizer, Massey Ferguson hydraulic pull disc, cultipacker, New Idea manure spreader, harrow, old discs, grader blades and box, older hay rakes, 3-pt. Sickle mower, 3pt cultivators, (4) hay wagons, 3-pt. post hole auger, Shaver 3pt hydraulic post driver, 3pt quick hitch, BMB 3-pt. finish mower, 3-pt. Crown forklift attachment, (2) hay elevators, old pull type corn picker, heavy duty enclosed farm trailer, Farm Hand hay rake, concrete mixer, cut off saw, hay spears, smelter & more equipment.